A few more photos around the Geraldton District in 2006. 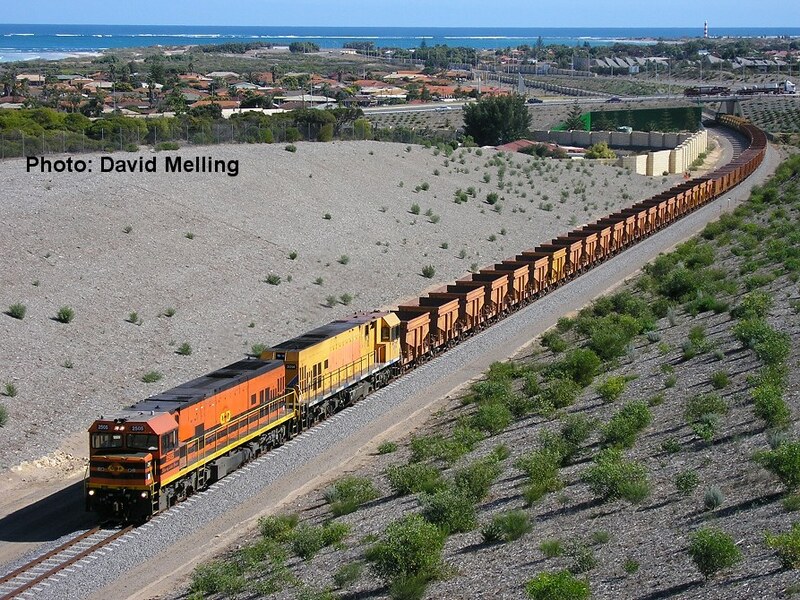 The first time we had got the reclassified "DAZ" locos together we see 2512/DAZ1901/DAZ1906 arriving at Narngulu with a loaded grain train on 15 July 2006. The scene from the Durlacher Street tunnel gives good views over the train and the ocean in the background. 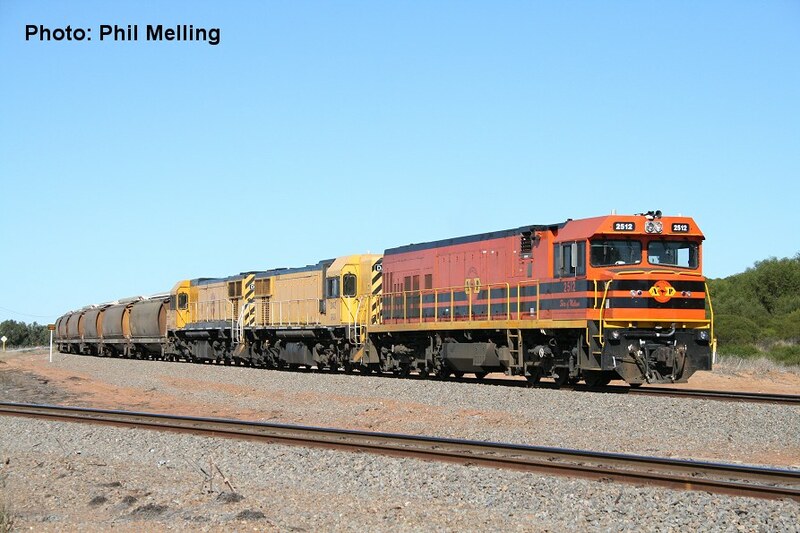 Here we see 2505/P2014 hauling an empty iron ore train towards Narngulu on 22 July 2006. 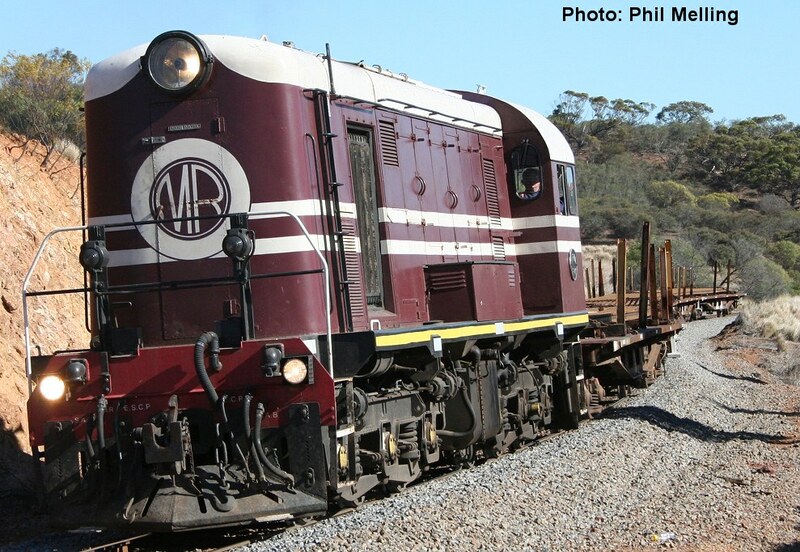 Former Midland Railway F class diesel F40 hauls a rail distribution train for Westnet Rail through Bringo on 20 May 2006. 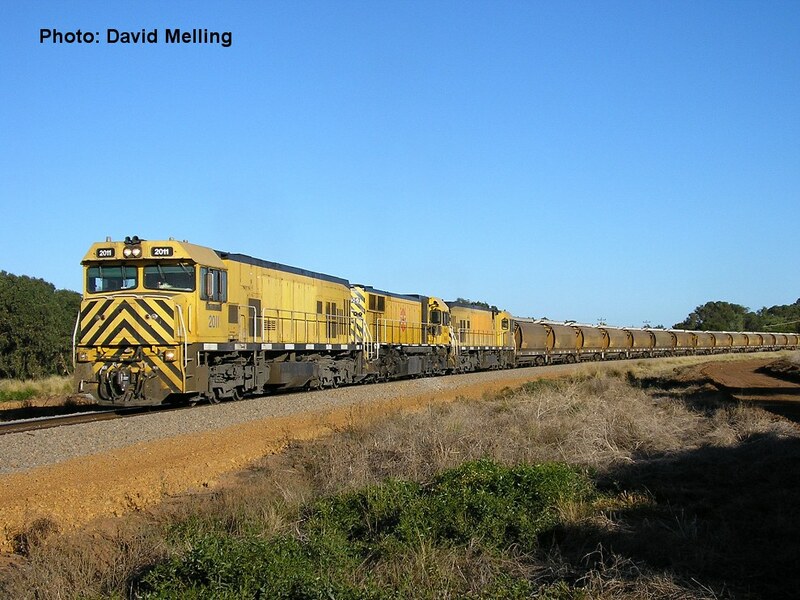 P2011/DAZ1906/P2002 combine to haul a loaded grain train near Walkaway on 23 June 2006.